If it isn’t abundantly clear, we’re pretty experienced when it comes to shopping here at Who What Wear. Over the years, our obsession has made us pretty good (if we do say so ourselves) at picking out those items that sell out as soon as they hit the shelves. But our remit extends much further than fashion, so we’ve created this article series where we reveal the things we’re loving or wanting to buy right now—whether it’s the hottest high-street shoes or cult beauty buys. This February sees our editors heading down to the V&A for the sellout Dior exhibition, settling down to read My Year of Rest and Relaxation, brightening up our kitchens with colour-pop pieces and stockpiling spring-ready wardrobe staples. Intrigued? Scroll down to see what’s tugging on our heart (and purse) strings this month. Carrying my obsession for all things cowboy into 2019 🐎 🤠 Thanks @matchesfashion for letting @whowhatwear.uk play dress-up in your gorgeous townhouse! See link in bio for all our picks. 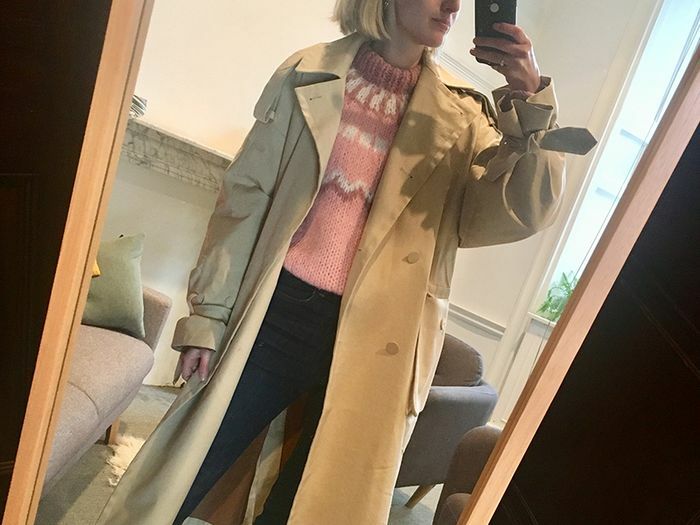 This month @whowhatwear.uk’s #WeTryBeforeYouBuy meant I got to spend 10 minutes in this @rixo beauty - and it’s called the Emma 💫 (loaned samples). Travel inspired little 30cm x 30cm canvas for Christmas this year? Only 2 days until your chance to buy at the Pop up Show is Chelsea. Running all day from 12 noon until 9pm. Please message me for the special address!